Manulife US REIT’s 4Q18 DPU of 1.53 UScts (+7.7% y-o-y) in line with expectations. Results boosted by recent acquisitions, positive rental reversions and inbuilt 2-3% annual rental escalations. Renewed Hyundai lease at Michelson (4.6% of gross rental income) for another 11 years. Majority of properties still 5-10% below rising market rents underpins positive outlook. Still room to move higher. We maintain our BUY call on MANULIFE US REIT (SGX:BTOU) with a revised Target Price of US$0.92. 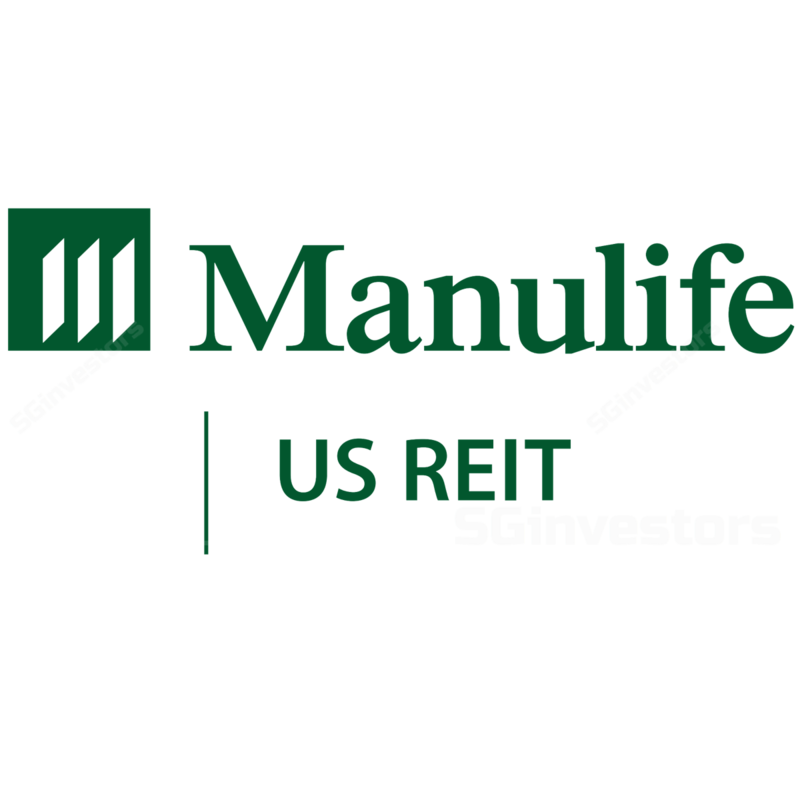 As anticipated, Manulife US REIT’s share price rallied over the last two months as we believed the stock was oversold due to concerns over a potential negative ruling on Manulife US REIT’s tax structure and correction of its listed peer. While Manulife US REIT has moved from trading at book value from c.0.9x P/Bk, we believe Manulife US REIT still has a potential to trade at c.1.1x P/Bk, the level before the tax uncertainty arose as the tax concerns have largely been allayed given a favourable interim tax ruling and Manulife US REIT’s exposure to rising US office markets and capital values. Where We Differ: More conservative estimates. Compared to consensus, our DPU estimates are 2-3% lower, as we have assumed that Manulife US REIT will refinance its 2.46% IPO debt over the next few years at 4.50-4.75%. However, despite our conservative projections, we believe Manulife US REIT still offers compelling value, given the expected strong rebound in DPU and attractive forward yield of 6.9% which is c.100bps higher than the S-REIT yield. Following the recent Manulife US REIT’s share price rally, we believe it is now easier to find accretive acquisitions. Thus, M&A remains a key re-rating catalyst going forward. Additional upside would also come from Manulife US REIT refinancing its debt at lower interest rates than our assumptions. After using a lower US risk-free rate of 3.0% from 3.6% as per our DBS economists’ latest forecast, we have lifted our DCF-based Target Price to US$0.92 from US$0.88 previously. The key risk to our view is lower-than-expected rental income arising from lower occupancy and/or slower-than-expected recovery of office rentals in the US, as well as impact from changes in tax laws resulting in higher taxes paid. Refer to the PDF report attached for the chart of Manulife US REIT’s share price movement versus US office rents. Manulife US REIT delivered a strong 4Q18 DPU of 1.53 UScts (+7.7% y-o-y). This translated into a FY18F DPU of 5.57 UScts which was in line with our expectations and which rose 1.7% y-o-y after adjusting FY17 DPU using the rights adjustment factor or 3.6% y-o-y assuming DPU was adjusted based on the weighted average number of units outstanding. The robust 4Q18 results were mainly driven by the earlier acquisition of Penn and Phipps buildings in June 2018, the full quarter's contribution from Exchange which was only acquired on 31 October 2017 and impact on 4Q17 DPU due to the rights issue in late 2017. The acquisitions over the last 1.5 years also resulted in 4Q18 revenue and NPI both jumping 38.4% y-o-y to US$40.5m and US$25.5m respectively. The earnings from the original portfolios (Figueroa, Michelson, Peachtree and Plaza) increased as occupancies were generally stable (estimated 95.4% versus 95.9% in 4Q17) and the portfolio benefitted from the positive rental reversions and inbuilt rental escalations (94% of leases have rental escalations with 55% having an average of 2.5% increase per annum). Excluding the acquisition of Penn and Phipps, we understand 4Q18 and FY18 NPI would have risen by 8% and 35% y-o-y respectively. Manulife US REIT’s overall portfolio occupancy increased to 96.7% from 95.9% in 4Q17, partially due to the recently acquired buildings being close to or fully occupied. As at end-December 2018, occupancy for Exchange, Penn and Phipps stood at 97.7% (98.3% at end-4Q17), 99.2% and 100.0% respectively. On a sequential basis, occupancy for Exchange increased from 96.2%. Within Manulife US REIT’s original portfolio, Figueroa’s occupancy increased to 93.9% from 92.9% in 4Q17, albeit down slightly from 94.3% in 3Q18. For Michelson, occupancy was stable q-o-q at 96.0% but marginally down from 96.5% in 4Q17. Occupancy for Peachtree was down y-o-y to 93.7% from 96.8% in 4Q17, largely due to a dip in early 2018 (92.7-93.3% between 1Q18 and 3Q18) with no material progress in gaining new tenants. Finally, occupancy for Plaza was stable at 98.9%. Manulife US REIT announced that Hyundai, which is an anchor tenant at Michelson (24.9% of gross rental income of the building and 4.6% of Manulife US REIT's overall gross rental income), renewed its lease representing c.97,000 sqft of space in January 2019 for another 11 years. The Hyundai renewal clears the major uncertainty this year. However, Manulife US REIT did not disclose whether rents for Hyundai fell as per our original expectation given client confidentiality reasons. Post the renewal of the Hyundai lease, only 5.5% of leases by gross rental income are up for renewal this year, down from 10.0% at end-3Q18 with another 8.4% of leases due to expire in FY20. For the whole of FY18, Manulife US REIT reported positive rental reversions of 8.9%, down from 13.8% reported for 3Q18 but up from 7.2% in 1H18. Post Manulife US REIT’s semi-annual revaluation exercise, it reported a 20-bp compression in overall portfolio cap rate to 5.1% from 5.3% at end-June 2018 (5.5% at end-December 2017). The compression in cap rates was mainly driven by the Exchange (4.9% versus 5.3% at end-June 2018) and Michelson (4.8% versus 5.1% at end-June 2018) buildings. This was partially offset by expansion in cap rates for Figueroa (4.5% versus 4.4% at end-June 2018) and Plaza (6.8% versus 6.6% at end-June 2018). In comparison to cap rates at end-December 2017, Figueroa was still down from 4.9% level, while Plaza increased from 6.4% cap rate. The newly acquired buildings generally saw a drop in cap rates – Exchange (4.9% versus 5.3% at end-June 2018 and 5.2% at end-December 2017), Penn (4.8% versus 4.8% at end-June 2018 and 5.0% at end- December 2017) and Phipps (5.8% versus 5.9% at end-June 2018 and 5.9% at end-December 2017). This highlights Manulife US REIT’s ability to find properties that are not only yield accretive but provide long-term capital growth. On the back of the revaluation gains of c.US$8m offsetting the slightly higher borrowings, gearing fell marginally to 37.2% from 37.4% at end-3Q18, with per unit increasing to US$0.83 from US$0.82 in 3Q18. However, gearing is up from 33.7% at end- 4Q17 due to the acquisitions made over the past year. Manulife US REIT’s average borrowing cost was stable at 3.27% given 100% of its borrowings are on fixed rates, but there is a risk of increasing as MUST faces US$110m worth of debt refinancing later this year. Post 4Q18 results, we raised our FY19-20F DPU estimates by 1% as the year-end debt balance was lower than our earlier expectations. Nevertheless, there may be a further 2-3% upside to our FY19-20F DPU estimates if Manulife US REIT is able to refinance its upcoming 2.46% IPO debt below our current assumption of 4.5%. We understand given the recent flattening of the yield curve, Manulife US REIT is able to borrow with a 5-year tenure at c.4.15%. Furthermore, our DBS economists recently revised their US 10-year bond yield to 3.0% from 3.6% previously based on the US Fed's more dovish outlook. This leads us to raise our DCF-based Target Price to US$0.92 from US$0.88. Our Target Price implies a target yield of 6.4% which we believe is fair considering Manulife US REIT is expected to report a 6% y-o-y rebound in FY19F DPU and its exposure to the rising US office market. We maintain our BUY call with a revised Target Price of US$0.92. We believe the recent rally in Manulife US REIT’s share price can continue and Manulife US REIT can trade back to c.1.1x P/Bk, the level before the recent tax uncertainty arose, as the US authorities have given a positive preliminary ruling on Manulife US REIT’s current tax structure and the strong results to end FY18. Furthermore, we remain bullish on Manulife US REIT’s prospects given its exposure to the rising office markets in the US and the majority of leases at its properties being still 5-10% below market rents. Finally, Manulife US REIT offers an attractive 6.9% forward yield which is c.100bps higher than the S-REIT average.